In 2017 if your business does not have an app, you are slowly being phased out. It is very necessary if you want to improve your business performance. There is an app for almost everything and every service in the market. This is because Americans are spending more than 5 hours per day on their phones, specifically using their apps. Think of it this way, your business could take advantage of effective frequency and this will increase your sales. When clients have access to a product the all day on their fingertips, they are more inclined to buy it. You could use promotions and discounts on the app that will pop on the customers’ phones. This will lead them to your stores to purchase. Why? The app makes your business tactics more visible and accessible from any place. They don’t have to use the brick and mortar platforms to get it. You will be able to connect with people on the move without having to follow them physically with placards. Whether they are going to grab lunch or see their dentist, you will be like a shadow. When brand is mentioned, reputation, quality and customer loyalty come to mind. Starbucks can attest to this. Their online presence has kept clients coming for more. The more clients see your business on their phones, the more close they feel to you. They will then feel a sense of attachment and hence loyalty. You could use the app to design your brand image the way you want it to look. Be it stylish, informative or convincing, all that power is in your hands and you can share it with your clientele. You want feedback? All you need is a help desk feature on your app. Through that clients can communicate with you on the specifics of their purchases, complaints or even thumbs up for a job well done. For a service industry, they can easily book appointments or get your contact details for guidance on product use. 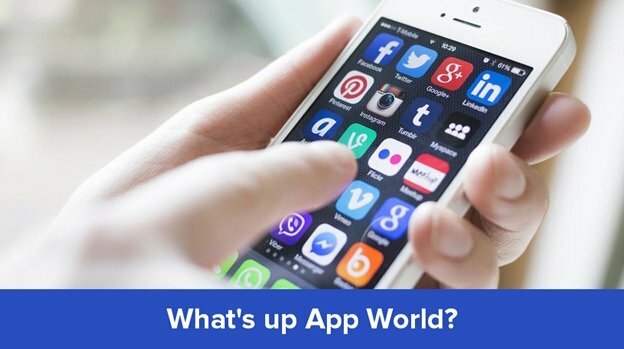 Some of the most successful businesses in the world have mobile apps. You can stand to be counted against your competition by simply ensuring that you prepare for the future and embrace the mobile technology. If properly optimized, your business app can create traffic to your website and your revenue count might just hit the roof. What are you waiting for? Get an app!